Ian McShane is returning to HBO, with the Deadwood actor signing on for a small-but-“key” role in the sixth season of the network’s massively successful Game Of Thrones. There are no details about what part the famously talented growler of profanities will be playing, which is fine, because it means we get to play another round of everybody’s favorite between-season Game Of Thrones game: Rampant, Unfounded Speculation! 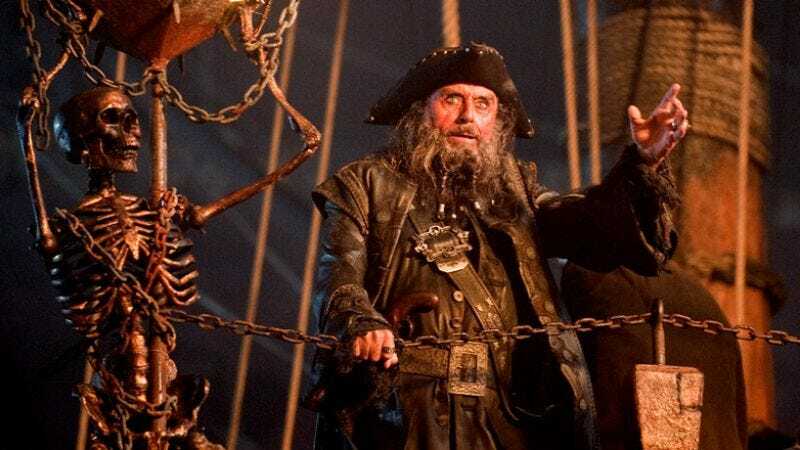 Casting notices for the upcoming season suggest that the show will be doubling back on the events surrounding Theon Greyjoy’s family of bloodthirsty pirates, a family tree ripe with foul-mouthed, violent men of a certain age for McShane to play. Theon has three uncles who feature prominently in the books, and while you probably wouldn’t bother to cast Ian McShane just to play brutish dolt Victarion, the other two—rapacious pirate captain Euron, and mad-eyed religious zealot Aeron—would both sit comfortably in the actor’s violent, Shakespearean wheelhouse. Aeron, especially would be a treat; the thought of McShane’s gravelly eloquence belting out Lovecraft-inspired lines like, “What is dead may never die, but rises again, harder and stronger,” is enough to send chills down the spines of dedicated Deadwood fans. All that being said, Game Of Thrones has never lacked in parts for older actors capable of dining grandly on its dialogue buffet, and there are a number of other announced roles McShane could take on comfortably. And it’s always possible that showrunners David Benioff and Dan Weiss are just screwing with everybody, and they cast McShane as a one-scene mumbler who gets devoured by a dragon before he can ever speak a word. We’ll know either way when Game Of Thrones returns next year.